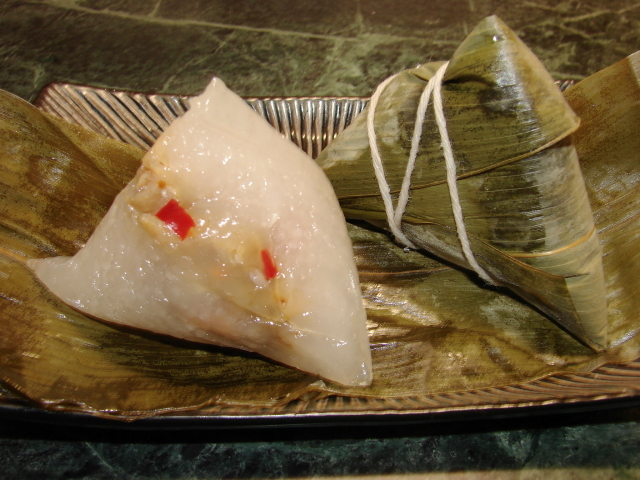 Here is another unusual zhongzi. The recipe is based on Thai tapioca dumplings, Sawku Sai Muu. The pastry dough is made with tapioca pearls. They are called crystal zhongzi because the pastry is translucent. The pastry is very soft, bouncy, rubbery and chewy. I really like the texture. The filling is delicious and spicy enough to give the right kick. They look more crystal clear when hot - warm. Once cooled the pastry is more opaque, but still very soft and more bouncy. 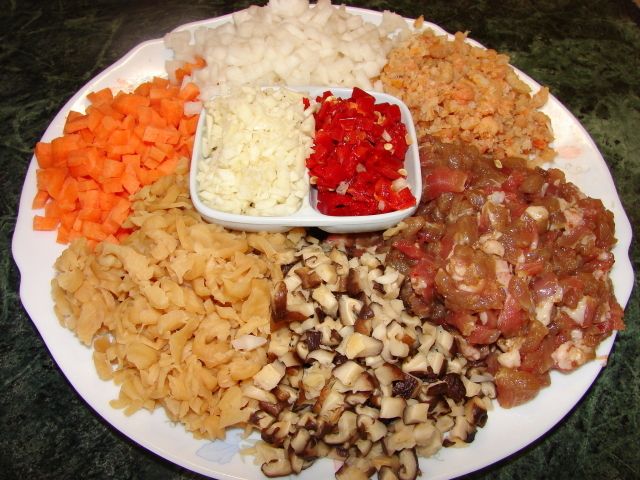 This recipe makes about 18 - 19 small dumplings. Dissolve salt in water, add tapioca. Leave it to soak for about 15 minutes. Take a grain or two and rub between your fingers. If the tapioca can be crushed to a paste it is ready to drain thoroughly through a sieve. After draining lightly mix in the oil. Cut pork into very tiny pieces. Add remaining ingredients and leave to marinate for about 1 hour. Cut/ roughly chop preserve radish. Rinse and squeeze dry to remove some of the saltiness. Heat about 1 - 2 tbsp oil, add garlic stir till fragrant. Add pork, stir fry till meat is browned. Add remaining ingredients. Stir fry till heated through and fragrant. Have a taste if not salty enough, add a dash of fish sauce. Stir in slackened conflour. Till till sauce is thickened. Remove, cover and leave to cool. Soak and boil about 20 leaves + few excess if some are torn or too small to use. See details from previous zhongzi posts. I made these dumplings quite small, normally one leaf is enough for 1 dumpling unless the leaves are very narrow or small. See details from previous zhongzi posts. Steam zhongzi for about 25 - 30 minutes. Remove, cover and leave to cool. Serve hot, warm or at room temperature. Once chilled in the fridge the pastry will be much chewier, warm in microwave briefly with the wrapping or steam till heated through.